Delhi-based Oravel Stays Pvt Ltd, which runs an online marketplace for branded budget hotels OYORooms.com, has raised Rs 150 crore ($24 million) in a new investment round led by Greenoaks Capital, it said on Wednesday. The company said three existing VC investors Lightspeed Venture Partners, Sequoia Capital and DSG Consumer Partners also participated in the round. In the past six months, the startup has grown from 30 to 200 hotels and expanded its presence from a single city to 10. It plans to have 1,000 hotels on its platform in 25 cities by 2015-end. "We welcome Greenoaks as a partner and are excited to work with it. Our vision is to offer the 'OYO Rooms experience' to every business, leisure and pilgrim traveller across 100 cities through a network of 10,000 hotels," said Ritesh Agarwal, founder and CEO, OYO Rooms. "We believe OYO Rooms has an opportunity to solve major pain points for hotel owners and customers by leveraging technology to deliver a consistent experience in the budget hotel space," said Neil Mehta, founder and managing director, Greenoaks Capital. Greenoaks is a US-based private investment firm and this is its first known deal in India. Oravel was founded by Agarwal in 2012 when he was just 17. It earlier operated Oravel.com, which was a marketplace for boutique guest homes, inns, bed & breakfasts, serviced apartments, holiday rental and palaces. The firm aggregated bed-and-breakfast establishments, private rooms and serviced apartments for short and mid-term rental. However, the company shut down Oravel in June last year, and the domain name Oravel.com now redirects to OYO Rooms. The startup was incubated at VentureNursery, an angel-backed startup accelerator, in 2012. In October 2012, Oravel received an undisclosed amount in seed funding from a group of investors, including VentureNursery. Eight other angel investors, including Everest Flavours' MD Anand Ladsariya and Nirvana Venture Advisors co-founder Amit Patni, also participated in the round. In May 2014, the company raised $650,000 in funding from DSG Consumer Partners and Lightspeed Venture Partners. It raised more money from Sequoia Capital, Lightspeed and DSG Consumer last September. 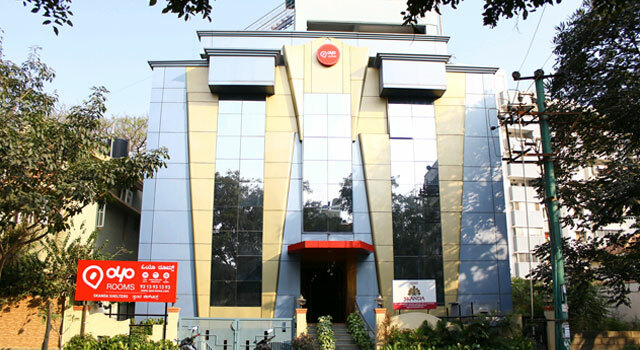 OYO is a chain of branded budget 'rooms'. These rooms or hotels are not owned by the company and the firm operates on an asset-light model. Currently, the service is available in ten cities including Goa, Delhi, Gurgaon, Mumbai, Bangalore, Hyderabad, Noida, Jaipur, Manesar and Pune. "The economy stays segment is a large, unorganised and fragmented and we believe that OYO Rooms brings a new, scalable and customer-friendly approach to addressing this opportunity," said Bejul Somaia, managing director at Lightspeed India. In this space, Oravel's closest peer is Stayzilla.com, an online accommodation marketplace. Oravel's earlier avatar was in direct competition with Stayzilla but now it is looking to differentiate with a branded marketplace with a standardised accommodation experience for those booking through it. Last month, Chennai-based Inasra Technologies Pvt Ltd, the company that owns and operates Stayzilla.com, raised $15 million in its Series B round of funding led by venture capital firm Nexus Venture Partners, with participation from existing investor Matrix Partners India. Interestingly, OYO Rooms claims that it does not compete with Stayzilla, but yet was recently involved in an alleged IP infringement fiasco with the company. Trouble started when OYO Rooms allegedly used Stayzilla's trademark and brand name on Google Adwords copy to get traffic. Stayzilla pointed this out to the company on micro-blogging site Twitter.com, post which OYO Rooms promised to fix the same. What followed was a number of #OYoMama jokes that Stayzilla sent the company's way in the form of tweets, calling it 'a small punishment' for the infringement. Greenoaks Capital Lightspeed Venture Partners Oravel Stays Pvt Ltd OYO Rooms Sequoia Capital India Advisors Pvt. Ltd.